Blast away those New Year Blues! It doesn’t seem to take long to change your feelings towards Christmas once January the 1st comes around! There is now no more joy in eating Turkey and listening to Slade! In fact these things just tend to now grate on us even though, a week ago, we loved them! January is always the month of ‘New Year, New Me‘ and full of New Year Resolutions that usually involve not indulging in things that we thought were OK in December. All in all the things that we enjoyed in December are typically the things that we try and get as far away from as possible in January. We all look to start the year healthy and happy, January is a tough month to do that though… The Weather!! We still want to act like hermits and stay wrapped up at home eating as much as we can hoping the days pass by as quick as possible! Its too cold to go outside isn’t it? My sister lives in Perth, Australia, and while she Instagram’s pictures by the beach or lay by her pool in 35 degrees heat in blistering sunshine, we all go back to work having to deal with the wind, rain and the cold! No wonder January is a bit grim! So what can we do about it!? Planning things to look forward to, being with friends and family, and making sure we have things week in week out to do WILL make the days go by a bit more enjoyably! Lets be brave and attack the weather, get the right clothes on and get yourself outdoors, there’s no such things as bad weather, just bad clothing! A bit of fresh air is probably the best medicine especially if like me you have spent new year eves in bed full of man flu! 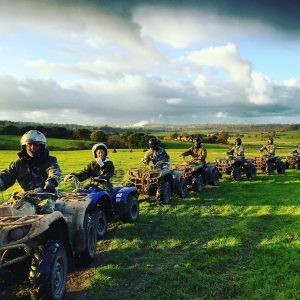 At Adventure Cheshire we specialise in keeping our customers entertained in all weathers, and all our activities are designed to be enjoyed in any conditions. Don’t sit in moping and wishing away the days just because of a bit of bad weather! Get yourself outside and push yourself out of your comfort zone and don’t be afraid to learn something new! 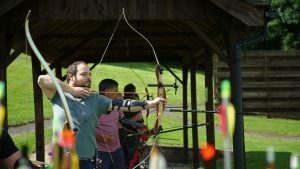 What are you waiting for…a whole new experience is only a click away!